This candle contains Lemongrass and Eucalyptus to repel those bothersome summer bugs. 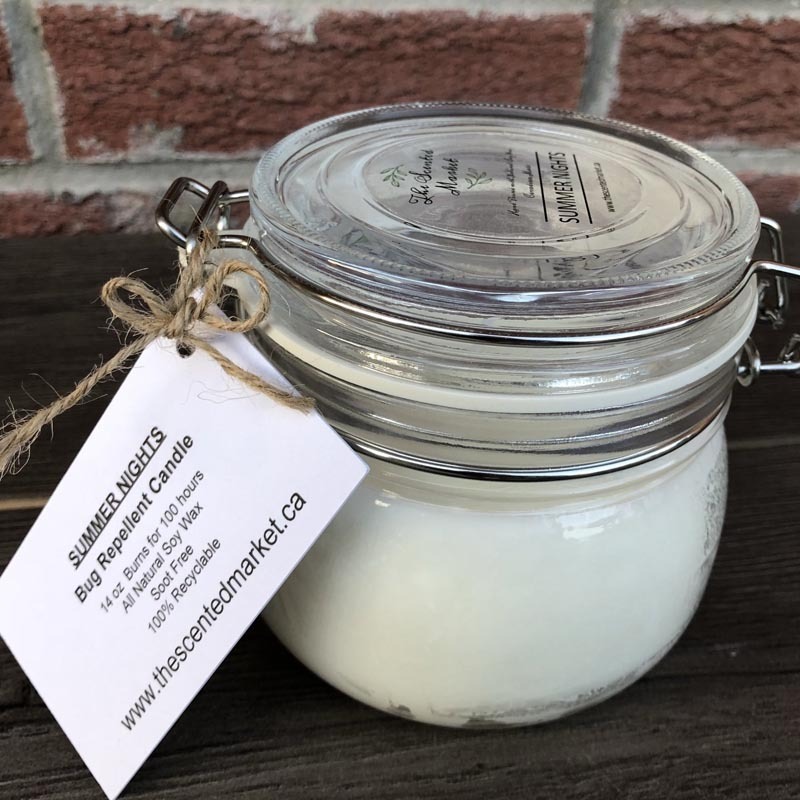 These candles are made in my home using all natural soy wax and contain premium cotton wicks for the best and cleanest burn. Each 14 oz candle has a burn time of approx. 100 hours and is SOOT FREE! 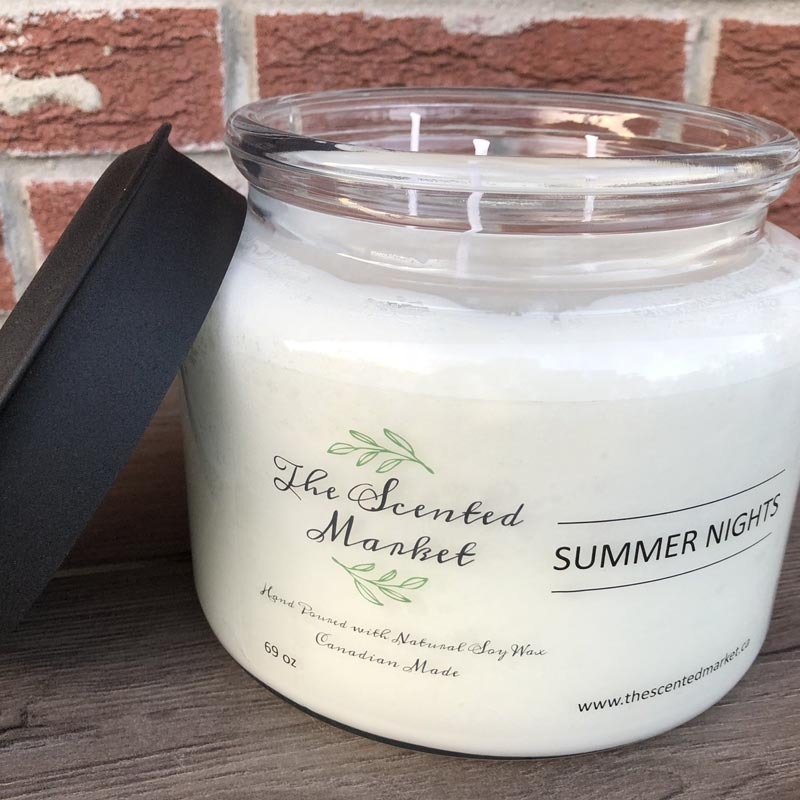 The Scented Market is located in Ariss, Ontario Canada.